Have you considered installing solar panels on your home, but concerned about the upfront costs? 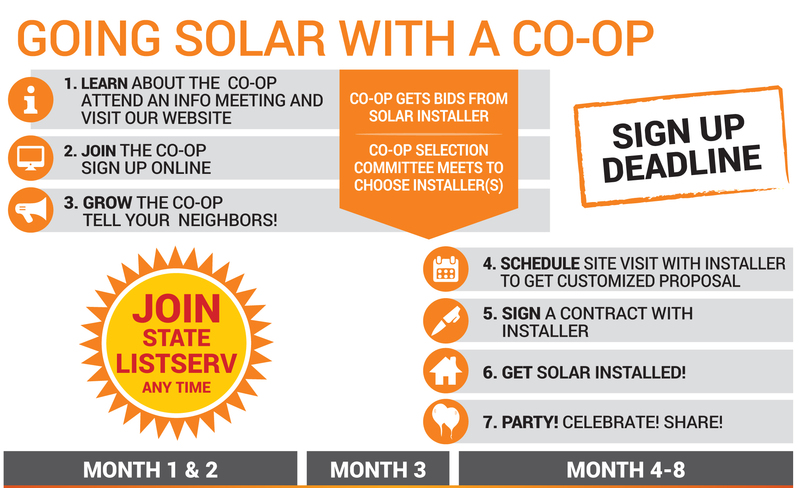 Here’s an idea: solar co-ops. Florida Solar United Neighborhoods (FLSUN) is helping homeowners throughout the state form community solar cooperatives to benefit from bulk purchase discounts for solar panels. Neighbors across the Key Biscayne, Coral Gables, City of Miami west to the Palmetto have joined together to form the Central Miami (North) Solar Co-op with the help of FL SUN to make it easier to save money on the purchase of solar panels, while building a community of local solar supporters. Join us for an information session in Miami to learn about solar energy, as well as how the Central Miami (North) Solar Co-op simplifies the process of going solar while providing a discount through its bulk purchasing power. As John Morales notes in the video above, there are solar co-ops are forming or already operating throughout Miami-Dade and other counties in Florida. 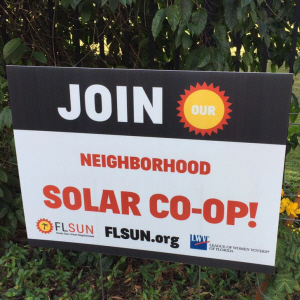 If you are not located within the boundaries of the Central Miami (North) Solar Co-Op, FLSUN’s webpage has a list of the other solar co-ops. The co-op is sponsored by the League of Women Voters Miami-Dade County, Green Corridor (Ygrene), Tropical Audubon Society, Earth Ethics Institute, Miami Dade College, Rise up Florida!, Resilient Miami, Urban Impact Lab, Unitarian Universalists Congregation of Miami, Sustainable Miami, Citizens’ Climate Lobby, The Cleo Institute, Commissioner Ken Russell’s Office, and FL SUN. SolarCity, a subsidiary of electric car maker Tesla Motors and the largest solar panel installer in the U.S., has announced it is opening an operations center in Clermont, near Orlando, and has plans to expand into other areas of Florida. According to a company spokesperson, a typical operations center employs about 100 people and SolarCity is now hiring for sales and installation jobs at its new Florida facility. SolarCity currently installs custom solar systems in 22 states, and also provides maintenance and repair services. Nationwide, the company offers four financial models: zero-down-payment loans, cash purchase, lease the system or a solar PPA (solar power purchase agreement). Florida law, however, forbids the PPA’s – only utility companies are allowed to sell electrical power directly to consumers. 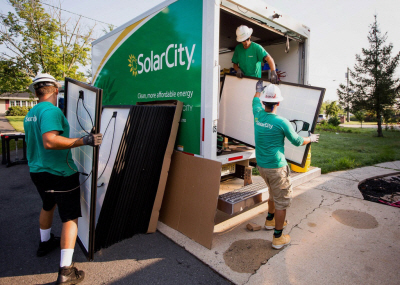 Even without the PPA’s, SolarCity’s loan and leasing programs provide homeowners with the ability to switch to solar power with little to no upfront costs. Miami residents may also qualify for PACE or other types of green financing. 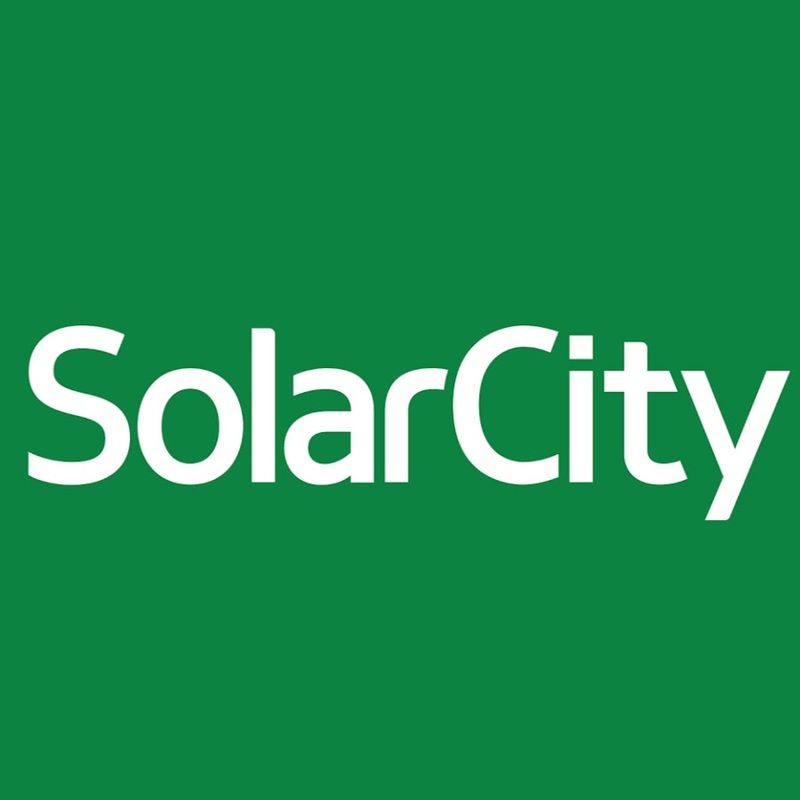 For more information about SolarCity, visit SolarCity’s website. There is a growing interest in finding alternative energy sources for today’s homes. Increasing awareness of the environmental damage caused by burning fossil fuels is one reason for seeking alternative sources. Another concern is that fossil fuel sources, such as oil and coal, are getting harder to find and access. Many experts say that we could run out of these resources if we continue to use them at the rate we’re going. One alternative energy source is the sun. Solar energy has been used by humans since they were living in caves. 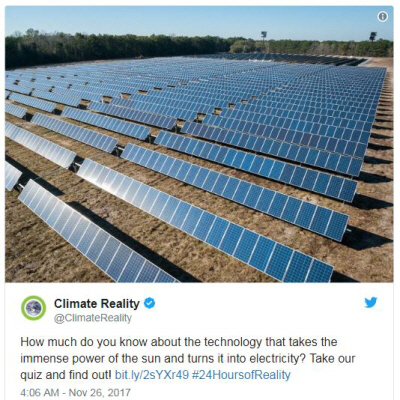 When people now refer to solar power as a new energy source, they’re actually referring to the technologies that have been, and are being developed to tap into solar power with more efficiency. Instead of just passive use of the sun’s heat and light, technologies have been developed to harness this energy and convert it into electricity. When most people think of using solar energy in their homes, they envision massive arrays of solar panels attached to the roof and complete detachment from the traditional power grid. Unfortunately, harnessing the sun’s energy to the point of being able to go off the grid is still cost-prohibitive for the average homeowner, particularly if they own an existing property. There are ways to help offset these costs, but there are also a number of ways to utilize solar power in the home without a complete overhaul. Heating and cooling costs combine to approximately 46 percent of a home’s annual energy usage. Solar heating systems can help cut these costs but may not be a viable option with an existing home, at least not without considerable restructuring and expense. One option that can help slash energy bills and can easily be retrofitted to most existing structures would be the solar attic fan. This fan not only would help keep the house more comfortable and save energy, but also can help to extend the life of your roof. After heating and cooling, hot water is the next biggest home energy user, accounting for about 14% of the annual energy costs. Installing a solar water heating system would save much of that energy and cut your utility bills. The amount of savings will vary depending on the type of system and where you live. Homes in a warm, sunny climate will realize greater savings than those in a cooler, northern location. Lighting comes in at about 12 percent of a home’s energy use and includes both inside and outside lights. Solar lighting can easily replace any outdoor lighting, thereby cutting both energy consumption and costs. 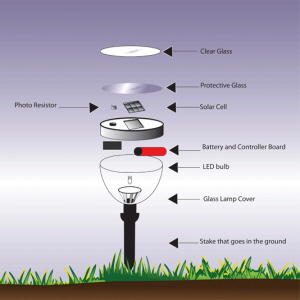 Anything from landscaping lights to the traditional porch light can be replaced with solar light fixtures. For homeowners who are eager to reduce their carbon footprint and save money, solar power is an ideal solution for a greener future.